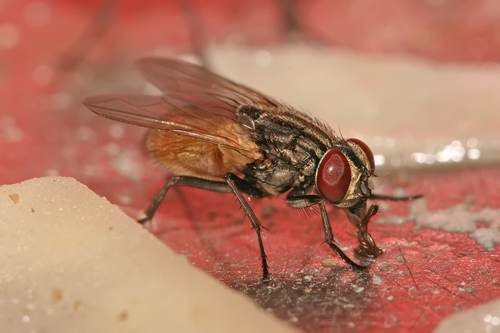 Female houseflies lay 400-600 eggs in decaying matter or feces, which develop into maggot larvae. Attracted to any uncovered food or organic waste. This fly can transmit diseases.